Arab analysts believe that U.S. President Donald Trump will recognize Israel’s sovereignty on the Golan Heights, which was captured during the 1967 Six-Day War, and Prime Minister Benjamin Netanyahu’s appeal last week had little impact on a decision that has essentially already been made. Netanyahu is pressing the US administration to recognize Israeli sovereignty over the Golan Heights, hoping to use it as leverage in light of Trump’s decision to withdraw from Syria. 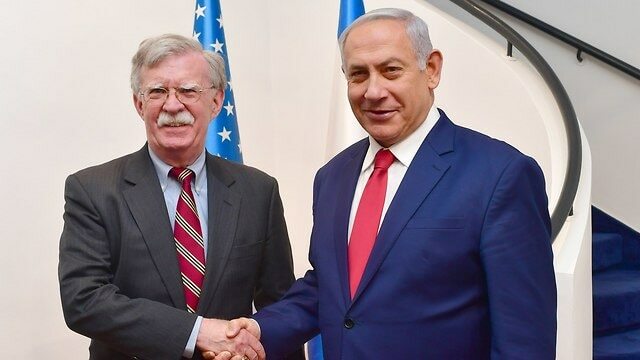 And while US National Security Adviser John Bolton signaled an about-face on withdrawal plans at a joint press conference with Netanyahu in Jerusalem, it appears that a potential shift in policy on the Golan Heights will not be affected. “I don’t think Netanyahu would ask for such a thing unless he was already guaranteed the approval of the Trump administration. He (Netanyahu) is certain of the answer and wouldn’t risk putting himself in an embarrassing position in case Trump refuses,” said Moeen al-Taher, a Jordanian political analyst. The Golan Heights, a plateau on the Syria-Israel border, was captured from Syria during the 1967 Six-Day War, and effectively annexed by Israel in 1981. Thousands of Israeli citizens, a wine industry and agricultural enterprises have moved in despite Syrian claims to the land. The Jewish State sees the Golan Heights as a strategic territory, a convergence with Jordan, Syria and Lebanon. Speaking at the press conference, Netanyahu stressed Israel’s right to the Golan, and vowed that the Jewish state would never give up its claim. “Tomorrow, if whether permits, we will go up to the Golan Heights, it is tremendously important for our security. When you are there, you’ll be able to understand perfectly why we will never leave the Golan Heights and why it is important that all countries recognize Israeli sovereignty over the Golan Heights,” the prime minister said. Al-Taher pointed out that Israel’s policy is imposing a fait accompli rather than waiting for international approval.